My large floral painting is finished! 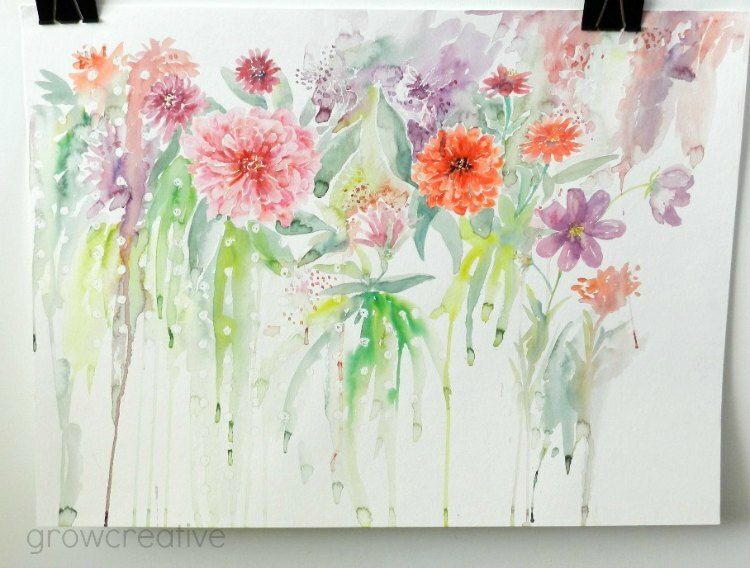 This one was based on some flowers from my yard- my zinnias and cosmos. I also experimented a little with some crayon was-resist textures underneath. I love the polka dots! For now, I don't have any immediate plans for framing or hanging. Life is moving fast and there are some big changes coming for my family. It's moving time! Very nice, it makes me want to get back to painting again. Thanks for the inspiration! Wonderful project, Elise! You are so talented!!! I love the colours! I love the dots! You did an amazing job! Good luck with you move. PS...if this comment show up multiple times, I apologize! I was having a bear of a time commenting! Hi, i really like your fresh colors and paintings! 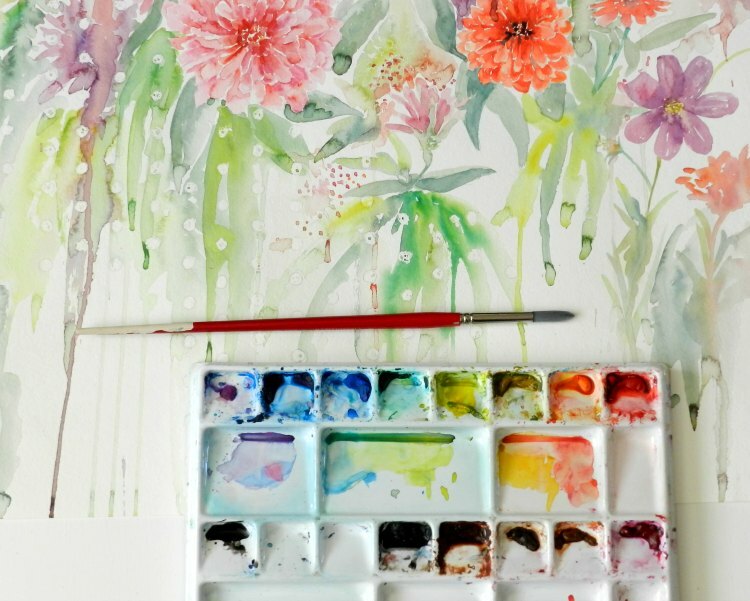 I also love sketching and painting florals! Thank you so much! Good luck with the portrait! Moving!??? Cool! I love starting in a new place. :) And the painting is beautiful!